“Charles Plumb, a U.S. Naval Academy graduate, was a jet pilot in Vietnam. After 75 combat missions, his plane was destroyed by a surface-to-air missile. Plumb ejected and parachuted into enemy hands. He was captured and spent 6 years in a communist Vietnamese prison. He survived the ordeal and now lectures on lessons learned from that experience. We may not realize it now, but there is someone somewhere who provides what you need to make it through the day. In his talks, Plumb points out that there are many kinds of parachutes: the physical parachute (the physical things you need to make your life easier- that person who prepares your meals, that security guard, that policeman on patrol, that mechanic when your car breaks down, that Mama Mboga, that shoe shiner, that bus driver and conductor). All the above people, make our lives easier and at times, come to our aid when in trouble although we may not realize their importance until they are absent. 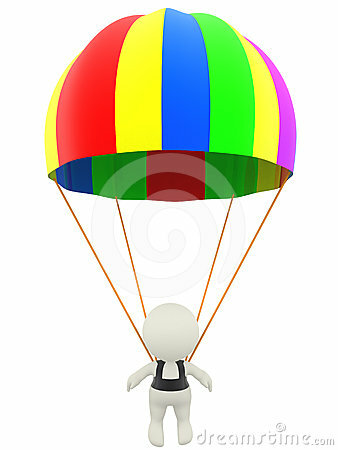 The mental parachute on the other hand, refers to people who are ever present to give advice. You know that person whom you can trust with your business ideas, your course-work help, at work etc. How much do you appreciate that person? Then finally, the emotional and spiritual parachute; there are times you feel depressed and there are words of encouragement and affirmation from a particular person that keep ringing in your ears. That person who understands you most. Challenge to us: Who packs your parachute? And how much are you recognizing and appreciating that person. Learn to just say hello, thank-you and going out of your way to find out how they are doing. Have you Inflated Your Balloon with the Right Kind of Gas?